We often hear Sanjay Dholakia’s quote, “Marketing has changed more in five years than the past five hundred.” What we don’t hear as much, however, is how public relations needs to transform itself to adapt to a changing world. Here are three trends that are forcing PR agencies and professionals to step up their game, and what your organization can do to wield them to your advantage. In the middle of the 2009 crisis, I worked in the PR team at GE Capital. One of the first things I learned is that a good relationship with reporters can turn a bad story into a more balanced one. Relationships still matter, but I’ve found too many PR agencies only play the “relationship” card and neglect other areas. Relationships with reporters have become transactional. One can blame increasing pressure on publishers and reporters to crank out stories at a lower cost, but it means that many reporters value transactional elements, such as being a source of scoops versus meeting for a nice lunch. One of the key skills I look at when assessing a PR agency is their operational excellence. It’s essential that any PR agency be on top of it. This means that they truly understand how our messages can fit into the always-changing editorial needs of target publications. They also need to be able to jump on a news story and write a response in just a few hours, not days. Give editors and reporters what they want at the time they need it. In today’s world, timing and relevancy can trump relationships. A good way to see if PR agencies can execute transactionally is to ask them to take a look at the hot story within your industry. Then, ask them how they can “newsjump” that story for your company’s benefits. Today, a simple how-to blog post or animated gif can generate as much brand awareness as a perfectly written story in The Wall Street Journal. If you are a PR agency today and limit yourself to writing bylines and arranging meetings between reporters and clients, you might find yourself in a tough spot. To see if your PR agencies are up to the much-needed task of content creation, ask them if they can help you produce a less “noble” task, such as writing a whitepaper, and see how they react. Half of them, if not more, will probably run away, and you will be better off for it. I was talking to a marketing exec at Chipotle at an industry conference, and his assessment is that consumers nowadays want to know everything. I’d also argue that the same goes for reporters. One of the toughest things to do is draw the line between what should and what shouldn’t be shared with a reporter. 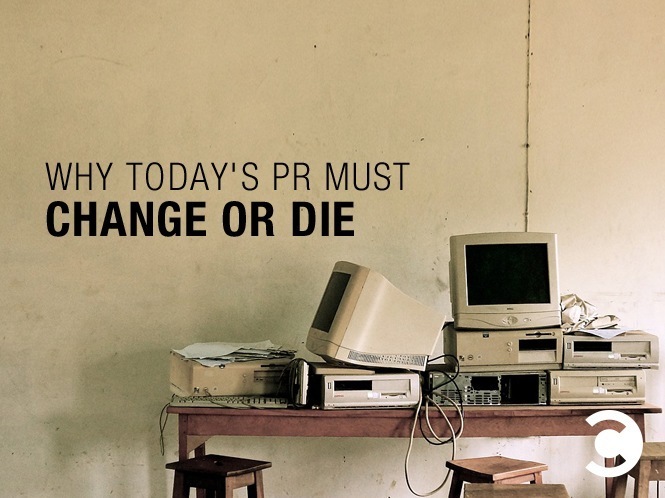 What has changed is that as marketers, we want our PR professionals to understand our business, opportunities, and challenges as much as we do. We want them to be in the best possible position to help us draw that line with a reporter when the time comes. This sounds a little cliché, but I make a point of sending my full strategy and marketing plan to our PR partners, including budget and KPIs. In return for that level of transparency, I expect our PR partners to go deep into business and product knowledge for our brand. If you are a PR agency, do not ask me to connect you to our subject matter expert, because in many cases, it will be you! An awesome PR agency will develop a deep industry and product knowledge. To truly test their merit, ask them about a “shiny object” (a product newsworthy within your industry), and if you are comfortable sharing the information they give you back to the product team, you know you have hit the jackpot.